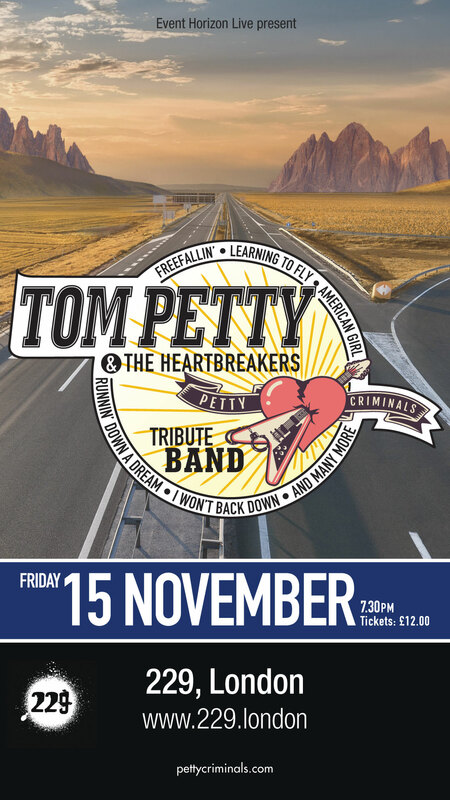 The first scheduled London gig for the Petty Criminals. Launched in 2007, 229 is a multi-purpose entertainments venue which has played host many gigs, club nights, awards ceremonies, comedy and fashion events, gala dinners and weekend festivals. Some of the acts to have played at 229 include: Kings of Leon, Paul Weller, Florence and the Machine, Biffy Clyro, Seasick Steve and Foals to name but a few.